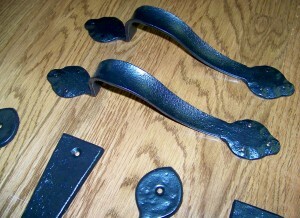 Garage Door Decorative Hardware Kit, Decorative Hinge & Handle Set. 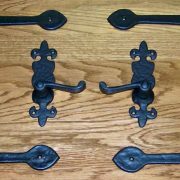 This is our most popular set from the showroom, once you actually see and touch this set, you will love it. Heavy Iron, HIGH QUALITY ITEM, Set weighs nearly 6 pounds! 2″ Wide @ the Spear. 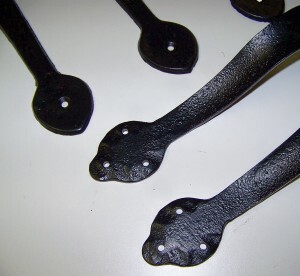 2″ Wide @ Top & Bottom (widest point). 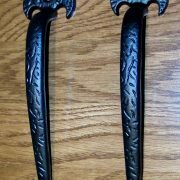 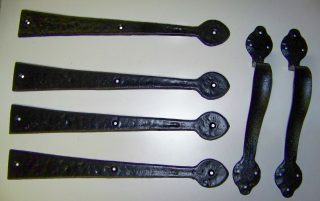 Handle portion is approx 1-1/4″ wide. 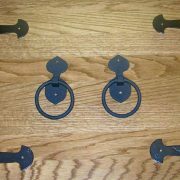 Handles stand off door 2-1/4”. 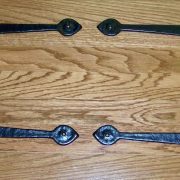 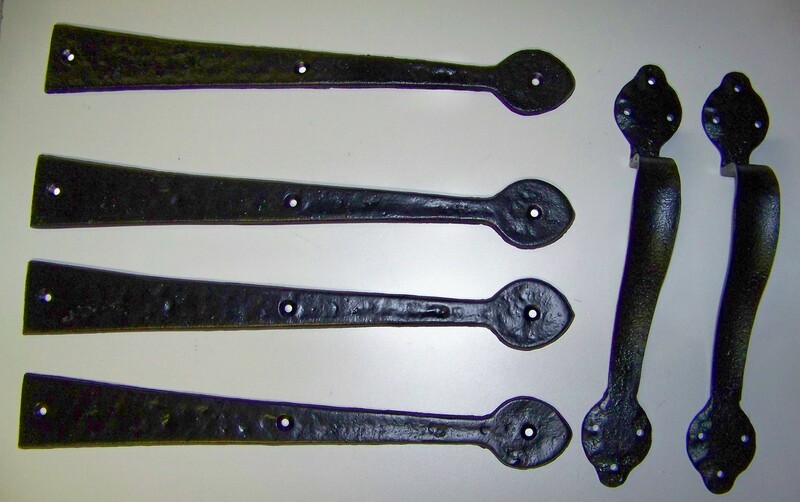 Be the first to review “Decorative Hardware Set Garage Doors” Click here to cancel reply.